You have a resume, but it's not working as well as you'd like it to. What can you do to increase the number of calls you receive for job interviews? Submitting the same resume for every position can't possibly meet each employer's individual requirements. If you want to grab hiring managers' attention, you need to give them what they want. You must take the time to tailor your resume to each employer and its goals to strengthen your chance of getting noticed. Before responding to a job posting, review the job description to see what credentials are important. If you're submitting your resume to an employer that doesn't have an advertised opening, research the company and find out how it would benefit from bringing you on board. Once you determine your top-selling qualifications, you will be ready to customize your resume to meet the employer's needs. Before you apply for your next job on Monster, log into your My Monster account. Go to My Resumes, and find the resume you'd like to copy. Click on the Actions icon for the resume you want to duplicate and select Copy. A copy of your resume will appear at the top of the resume listings, ready to customize specifically for the job you're applying for. Your Monster resume title should state your career goal, along with one or two of your top credentials. These credentials should be tailored to the employer's needs. For example: "Sous Chef -- Culinary Degree & 5 Years' Fine Dining Experience." The purpose of this section is to show that you're perfectly suited for the open position. Opt for a concise, targeted resume objective instead of a general statement that could be for any employer or job. A resume objective like, "To become a software engineer for 123 Company's Web services group," makes the hiring manager's job much easier and brings you closer to getting called for the interview. Once you've researched the employer's requirements, use the resume career summary section to match these requirements with your qualifications, thereby proving you are the perfect candidate for the position. Modify the Qualifications Summary in your duplicate resume as follows: omit statements that aren't important for the position's specific goals, reorder the summary so statements relevant to the position are listed first and add information about your credentials that's uniquely applicable to the position and employer. 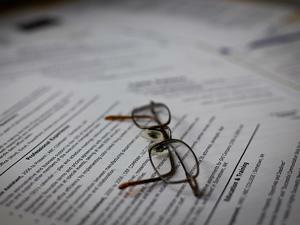 Many employers go directly to the resume's employment history section to assess your qualifications. Review your job descriptions and modify your duties and accomplishments to pertain to the opening. Present an honest account of your employment history, but describe your experience to highlight your work tasks and achievements that relate to the job you're applying for. Place these pertinent qualifications at the top of the description, or use bullets surrounded by white space to make them stand out. You've already reviewed the job posting and determined what skills the employer wants in an ideal candidate. Emphasize your matching skills in your Monster resume's Skills section. Begin your list with the skills that would be of most interest to the employer.